When we'd first moved into our home, we were intrigued by a spiky, uninviting mass in the corner of our yard. It was a massive and unruly yucca plant, perched on a mound of its tangled roots. We got a quote to have it professionally removed: $$700! 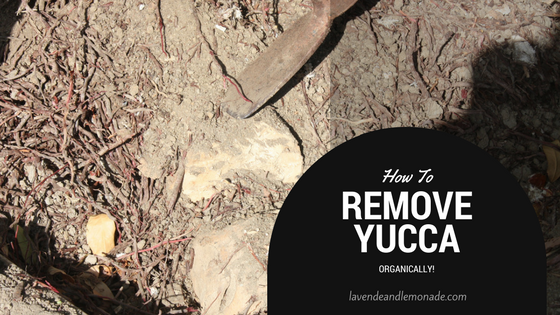 Then did some research on the best method to remove yucca and I put together this plan on how to get rid of the yucca. Three years later, I'm thrilled to report back that we are 100% yucca-free! Our hard work paid off, and the plant is completely gone. That is, except for a couple of baby plants I potted as a souvenir. 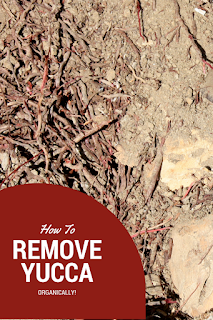 1) Start by cutting the plant down to its stump. Discard the plant with your green waste, or I actually found that some people are looking for yucca. Try posting it on Craigslist or your favorite reseller app to find it a new home. 2) Dig a large hole around the base of the plant, down to the roots. Our yucca was about 5 feet tall and a 3 feet wide at the base, and our hole was about 6 feet round. 3) Dig out as many of the rhiszome roots as possible. We found it easiest to dig out the dirt with it since the roots were so dense. We shoveled the first couple of feet down right into the green waste bin. 4) Go wide, go deep. I then picked through wide and deep around the hole and pulled out as many of the roots as I could motivate myself to get. It ended up being several large moving boxes full of additional roots! When I was done there were still stragglers, mostly small bits and pieces. 5) Sun. We left the hole open for a few weeks to dry out any remaining pieces and the earth around it, in plenty of sun. Now we were ready to start landscaping. We filled in the hole with 'clean' dirt from elsewhere in the yard. As it turns out, to match our landscaping plans we also needed to add about a foot of dirt to grade this section of the yard. I kept a close eye on the area for the next few months and was releived to see that there were no yucca coming up for air. Three years later, I'm confident that our project was a success! 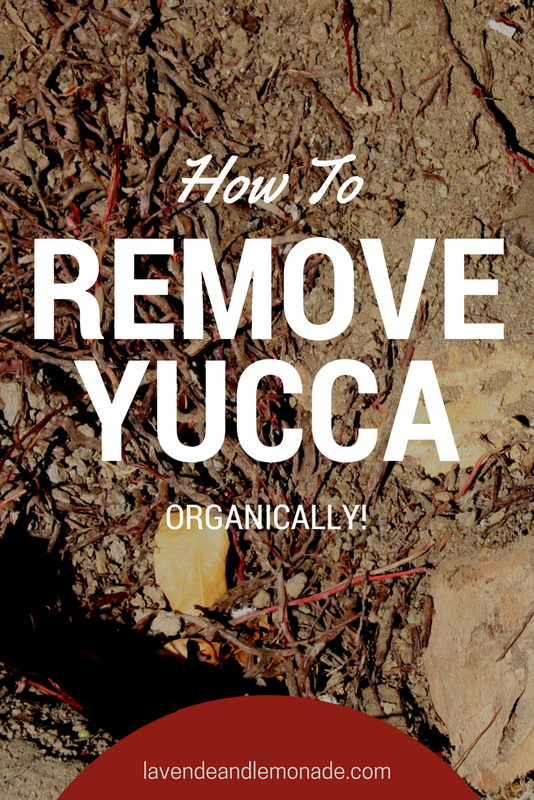 We removed our yucca without using herbicides or any chemicals, organically! That spot, formerly a sprawling mass of dangerous spikes, is now home to a hammock where we can sit back and enjoy our new garden! I'd love to hear your own yucca stories. Please share if you have any! If you have never had to experience the difficulty of trying to remove a yucca plant while gardening, then consider yourself lucky. 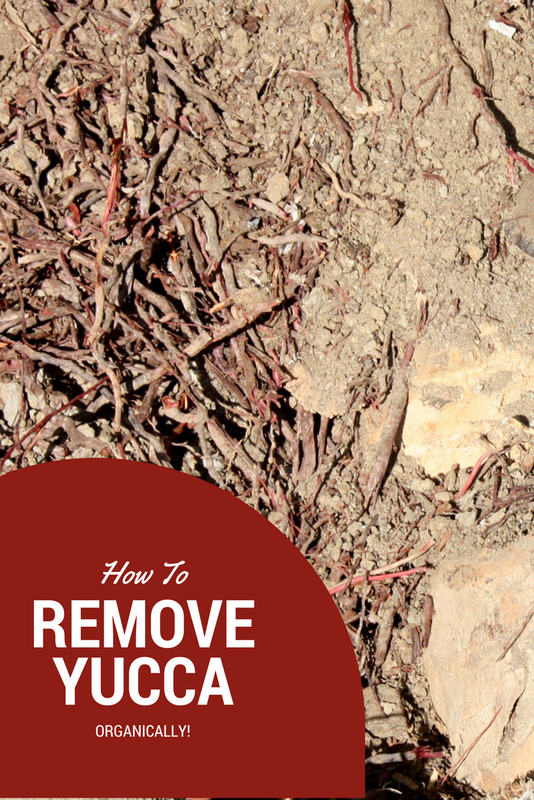 Removing yucca permanently can easily be considered one of the most difficult tasks in gardening and landscaping. I want to thank the author who wrote this informative post. Wow! What a lovely post.Thanks a ton Liza for all the valid information provided with respect to roofing. I have an expert roofing contractor who has been assisting me for almost 15 years now. Our Yuccas were quite invited, about three years ago, and have been doing well in their home along the side of the garage. They had a tough winter here in New Jersey - wet and cold - and now have a number of dead leaves throughout. I was going to have them removed, but after reading your post, I think there are other ways I would prefer to spend my energy. I'm going to give them a Yul Brenner, about halfway between the ground and bottom round of leaves, and see what happens. Any thoughts?